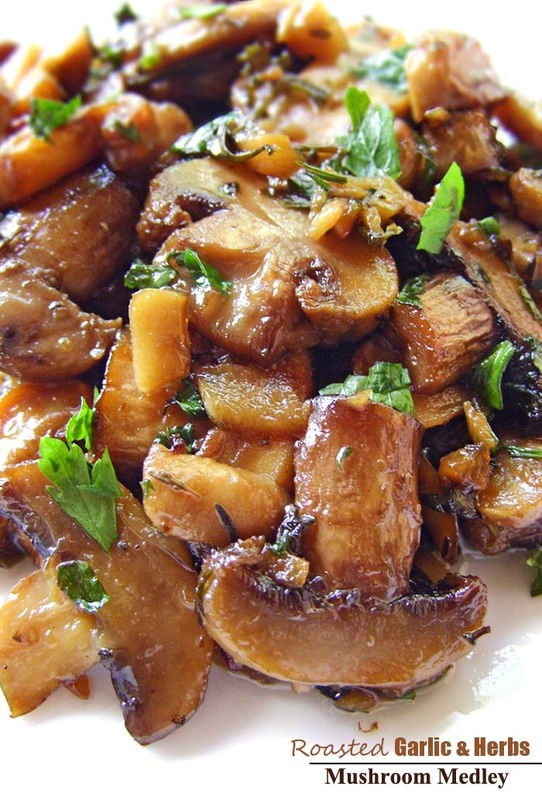 The easiest, most flavorful mushrooms you will ever make. Let’s keep things delicious, people. Because it’s Tuesday and that means you (and I) need some yummy to get through the rest of the week. 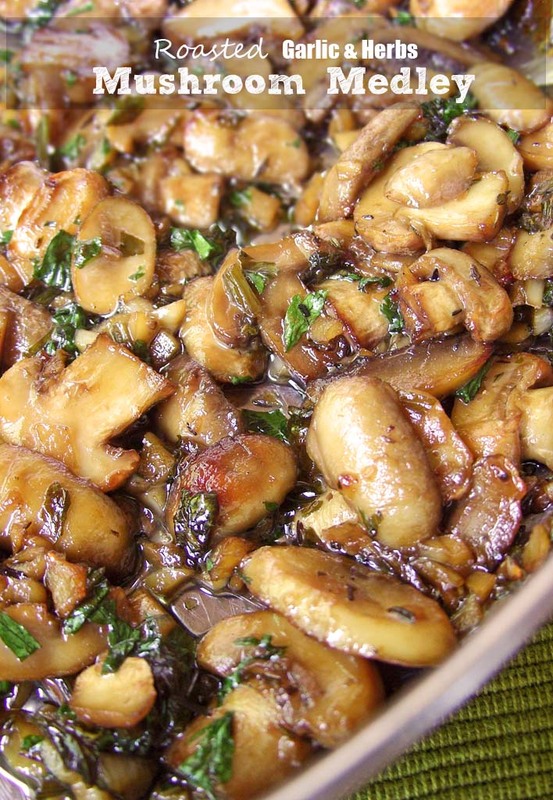 This is an incredible and by far one of the easiest mushroom side dishes I have ever made. Actually – now that I’m thinking about it – calling these roasted mushrooms medleys “side dish” diminishes their value. They’re going to steal the scene and overshadow all others dishes. They are the true “simple” stars. SIMPLY AS THAT, just slice up your mushrooms, toss them with some olive oil, parsley, garlic, rosemary and sage and throw them on the baking sheet. There’s little-to-no cooking involved. Just some toss and turning and some roasting in the oven. In a large bowl, whisk together the olive oil, salt, pepper, garlic and herbs. Add in mushrooms and toss together to evenly coat. Evenly spread the mushrooms on a medium baking sheet or ovenproof casserole dish large enough to fit all of the mushrooms. Remove mushrooms from the oven about halfway through and flip them a few times, then return sheet to oven. Done and done. Now how easy is that? This entry was posted in Appetizers, Main-Dish and tagged Basil, Garlic, Mushrooms on August 26, 2014 by Dan. You refer to it as a marinade, yet I don’t see any time for marinating. It is actually just a sauce? Would you be able to prepare it all early (to marinate) and then bake later? This recipe could use some editing; the balsamic vinegar is listed twice in the instructions, to add to the marinade, and then again to drizzle on at the end. Which is it? ugh…it’s a mix-up, simply drizzle balsamic vinegar on to flavor at the end or after plating your dish. Thanks for noticing that and please excuse me, recipe is now corrected.